In the past 15 years alone, global extreme poverty has been cut in half. Billions of people are standing up to injustice, the trauma of war, and complex problems like climate change and economic inequality. But there’s much more to be done. That’s why we exist: to tackle the injustices that cause and perpetuate poverty. We work to make the world safer and fairer for everyone. We exist to defeat poverty. Oxfam supports women, men and children living in poverty to claim their right to food, land, and water. In the long term this requires a more just food system that sustainably addresses the needs and aspirations of smallholders, agricultural workers, and vulnerable communities. Oxfam and its partners have a long track record of helping people to cope with the effects of climate change and building their resilience, alongside lobbying for robust financing for adaptation measures. Inequality is growing around the world. Every year, the gap between rich and poor gets even wider. Today, just 8 billionaires own the same wealth as the poorest half of the population. The combination of high and growing inequality with an enormous youth bulge not only creates human suffering and social friction, but also undermines economic growth. Such inequalities are exacerbated by unfair tax policies and an unfair global financial sector, nurtured by political and economic elites bending the rules in their favour, leaving poor people with little voice. 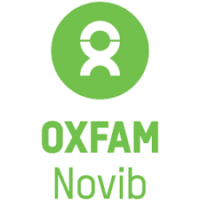 Oxfam Novib transforms unequal power structures that impact women’s and girls’ rights and needs. Women and girls should have equal opportunities and should be able to fully enjoy their rights, free from all forms of violence and discrimination. Oxfam is working in a context of increasing numbers of protracted crises. Many countries are immersed in conflict and the frequency, scale and magnitude of humanitarian emergencies has intensified.